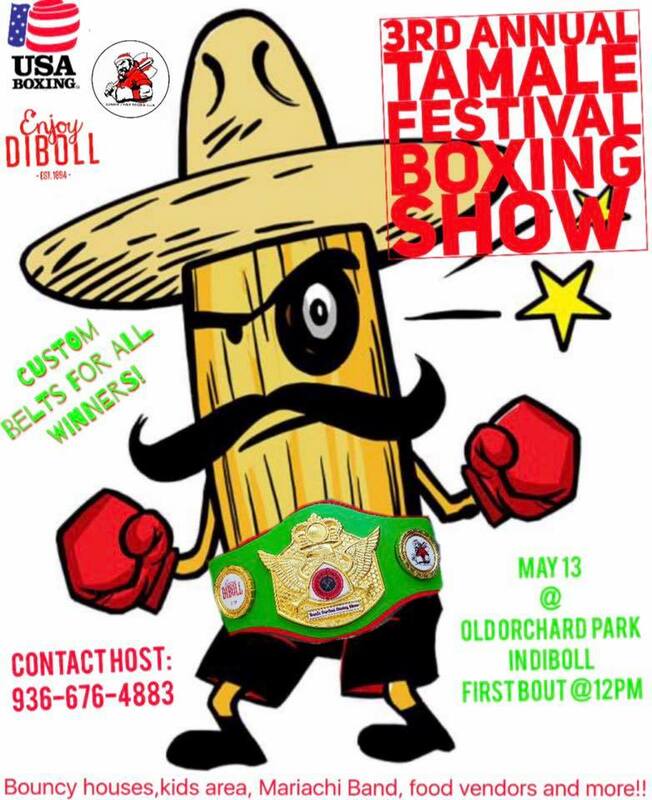 Third Annual Tamale Festival boxing show will be May 13th! 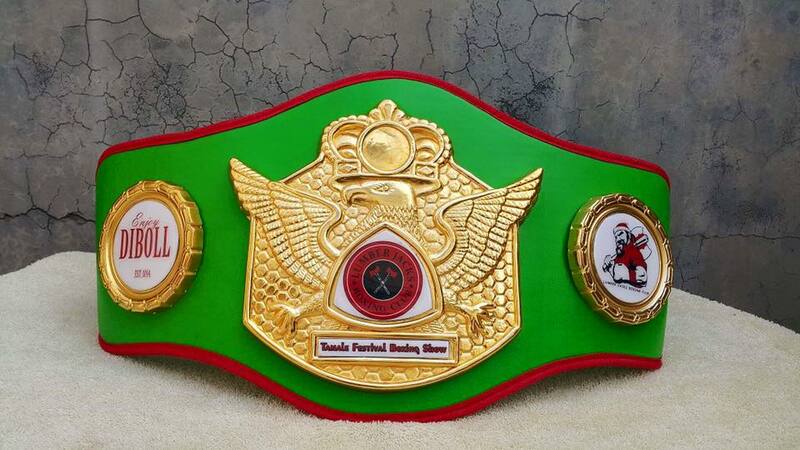 We’ll have 25 bouts with all winners receiving custom belts. 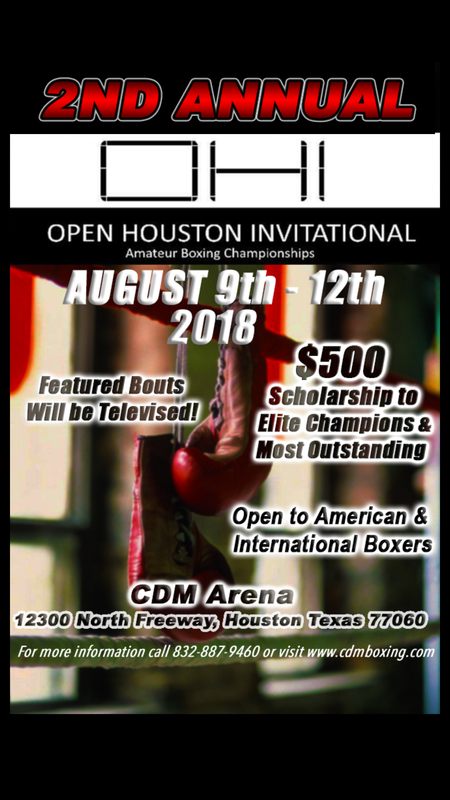 It’ll be Hosted by Lumberjacks boxing club and Sponsored by the City of Diboll! 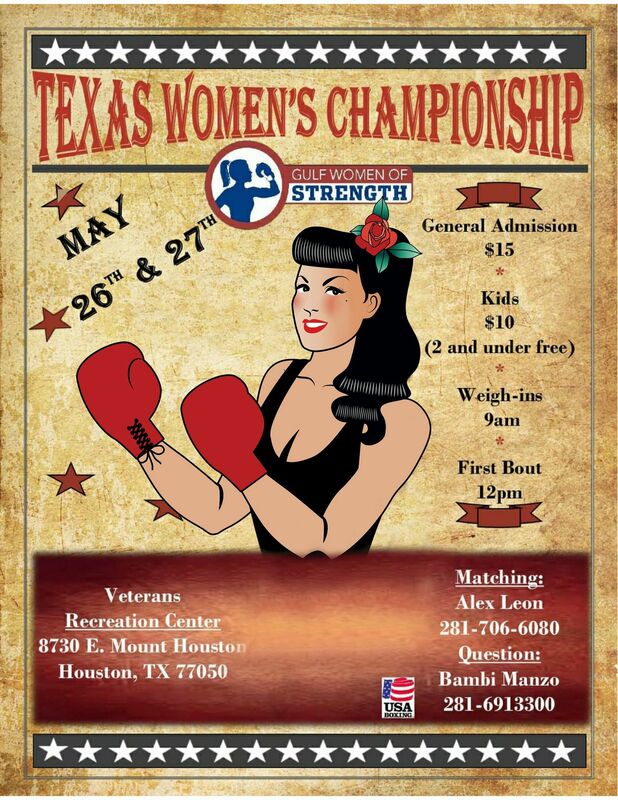 Number of bouts fought may have changed. I have an 11/80/8 bouts Simon Chavez also unattached with Giovanni Barajas would you like to match him? 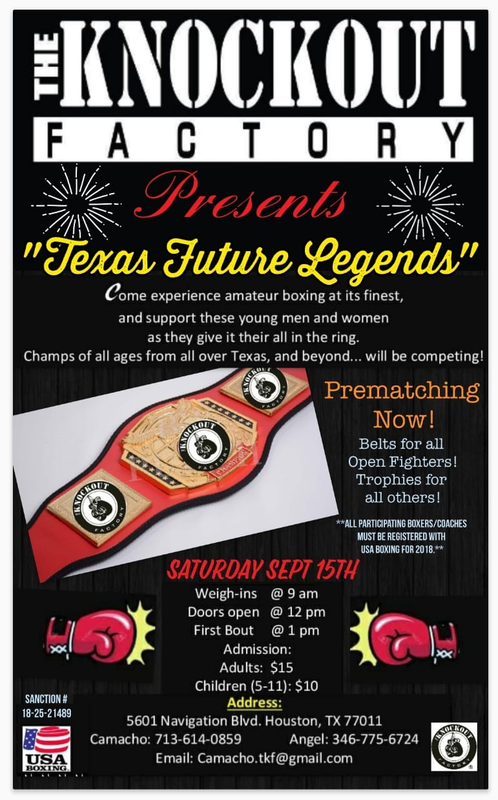 14/119/ 3 Bouts for your 14/119/1 bout if we can make a match and Coach Terrazas has any openings??? 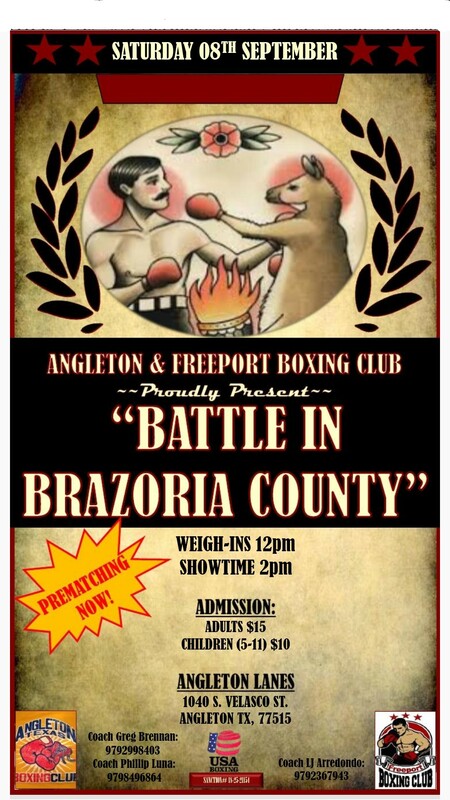 Fort bend boxing club coach blast Perez. Julian 126 vs m.wells 130lb/25? Omar 141 vs d. Moore 141/25? 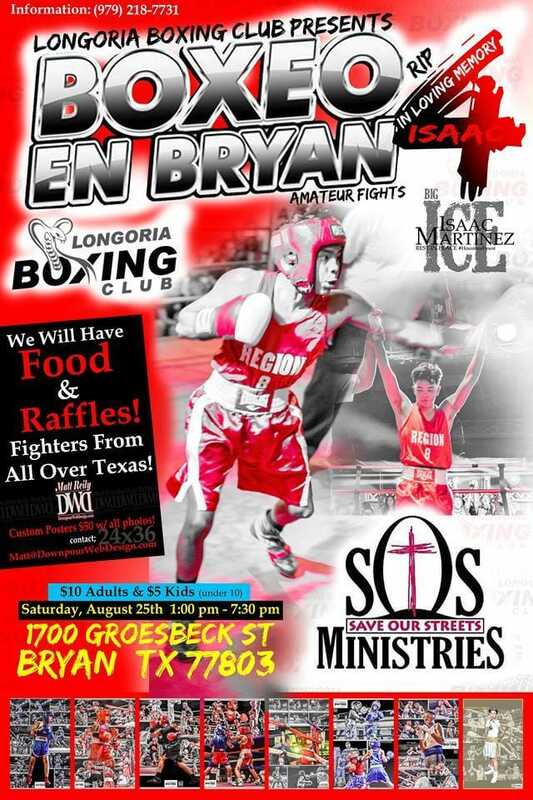 In This Corner Boxing Gym: Alexis Salgado 15/114/2; Melina Carrera 15/110/3; Adalyn Romero 14/132/3; Yarezy Munoz Camacho 17/132/0 Coach Richard 832 640 8760.